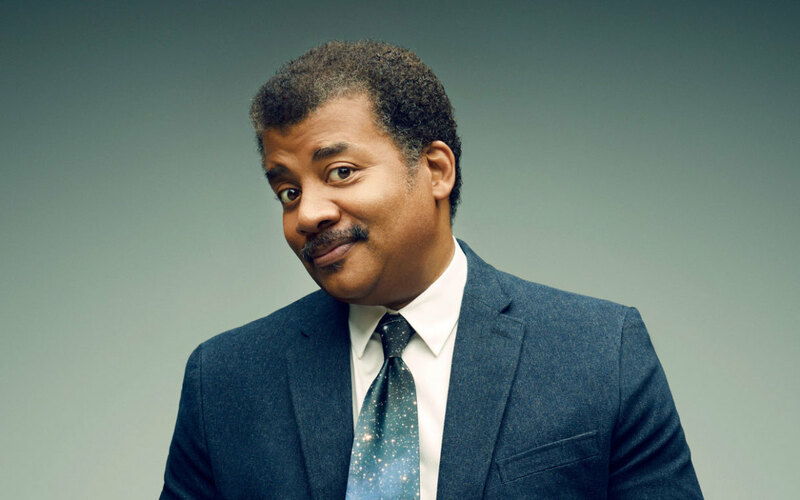 Neil Tyson's Final Words On His Quote Fabrications: "My bad"
Tyson's stories are the Rube Goldberg machines of stupid stories: completely pointless, and hopelessly fragile. After publishing an embarrassing non-apology on Facebook last week for repeated quote fabrications, planetarium director Neil deGrasse Tyson took to Facebook again earlier this week to revise and extend his remarks. His full post can be found here. For a talk I give on the rise and fall of science in human cultural history I occasionally paraphrase President George W. Bush from one of his speeches, remarking that our God is the God who named the stars, and immediately noting that 2/3 of all star-names in the night sky are Arabic. I use this fact to pivot from the present-day, back to a millennium ago, during the Golden Age of Islam, in which major advances in math, science, engineering, medicine, and navigation were achieved. The Bush reference is not written on my PowerPoint slides, which I keep sparse, but I remembered it from a speech he gave after September 11, 2001. And I presented it that way, as Bush’s attempt to distinguish “we” from ‘they.” When eager scrutinizers looked for the quote they could not find it, and promptly accused me of fabricating a Presidential sentence. Lawyers are good at this. They find something that you get wrong, and use it to cast doubt on everything else you say. Blogosphere headlines followed, with accusations of me being a compulsive liar and a fabricator. In the words of the prophet Isaiah, “Lift your eyes and look to the heavens. Who created all these? He who brings out the starry hosts one by one and calls them each by name. Because of his great power and mighty strength, not one of them is missing.” The same creator who names the stars also knows the names of the seven souls we mourn today. But I was wrong about when he said it. It appears in his speech after the Columbia Shuttle disaster, eighteen months after September 11th 2001. My bad. And I here publicly apologize to the President for casting his quote in the context of contrasting religions rather than as a poetic reference to the lost souls of Columbia. I have no excuse for this, other than both events– so close to one another — upset me greatly. In retrospect, I’m surprised I remembered any details from either of them. Of course, very little changes in that particular talk. I will still mention Islamic Extremists flying planes into buildings in the 21st century. I will still contrast it with the Golden Age of Islam a millennium earlier. And I will still mention the President’s quote. But instead, I will be the one contrasting what actually happened in the world with what the Bible says: The Arabs named the stars, not Yahweh. I think my favorite part of this whole fake apology is the title, “A Case Study: Quoting George W. Bush,” which is itself a case study in self-delusion. This was not a case study in quoting George W. Bush. At best, it was a case study in misquoting George W. Bush. At worst, it was a case study in what happens when you fabricate quotes in order to slander public figures. After all the sturm und drang, Tyson still doesn’t seem to grasp the main issue here: this wasn’t a misquote. It was a fabrication that deliberately created the exact opposite impression of how reality actually transpired. It was the sort of thing a dishonest politician does, not the sort of behavior you’d expect from a scientist who’s allegedly devoted to studying reality. Then there’s Tyson’s characterization of how he came to learn about George W. Bush’s speech following the crash of the space shuttle Columbia. In Tyson’s mind, “others” had uncovered the quote. Never mind that I extensively quoted and discussed that very passage from Bush’s real speech in the very first article about Tyson’s fabrication of the Bush quote. Never mind that I specifically noted that quote and the speech in which it was found to his publicist. Tyson, though, cannot bring himself to admit that little fact, because it would do far too much damage to his ego. Dude. You didn’t remember any of the details. That’s kind of why you’re in this mess. Now, Tyson may think the Bible is stupid (the Bush quote affair has already demonstrated that highly attested history isn’t exactly his strong point), but it doesn’t change the fact that there’s nothing internally inconsistent with God knowing the names of stars and people on earth giving names to stars. I still find it shocking the lengths to which Tyson went — up to and including repeated and obvious fabrications about the president of the United States — to make such a pathetically bad point. His story is the Rube Goldberg machine of stupid stories: completely pointless, and hopelessly fragile. You’d think somebody intent on pointing out a massive internal contradiction would, oh, I don’t know, spend some time researching whether there was actually an internal contradiction. But then again, you’d probably think that somebody would make sure a quote actually existed before repeating it as gospel. Great debaters attack their opponents’ strongest points and systematically dismantle them. Poor debaters nibble at the edges of their opponents’ weakest points and hope that nobody will notice the sturdy foundation beneath the weathered facade. Lazy propagandists don’t even bother with research or argument and instead go straight to just makin’ stuff up. And then there’s Neil deGrasse Tyson, who felt compelled to fabricate evidence in service of a point so pedestrian that it can be easily swatted away with the type of knowledge that’s imparted to children during an hour of Sunday School or an elementary lesson on logic. To sum up: Tyson fabricated a quote from a newspaper headline and to this day has offered zero evidence that this headline exists, other than his memory (you’ll just have to take it on faith). Tyson fabricated a quote from a member of Congress and to this day has offered zero evidence that this quote has been uttered, other than his own insistence that it was privately said in his presence (you’ll need to take that one on faith, too). Nor has Tyson offered any evidence whatsoever to independently corroborate his jury duty story, which, to my knowledge, has at least four different versions (you’ll need to take Tyson’s story about that on faith, too). Finally, we have a quote that Tyson fabricated about President George W. Bush that Tyson then deliberately used to cast the president in the worst possible light, all so he could get an attaboy ego boost from the know-nothing seal clappers who paid $70 each to be in his audience. And what does he say after weeks of obfuscation and nonsense justification for blatant fabrication in service of an ideological agenda?